Prim and Propah: Thrifting is a Joy! I have recently joined an open blog for those of us out there who love to "thrift" ie get out there and rummage for treasures at yard sales, thrift shops, estate sales, vintage and consignment joints etc, etc and so on and so forth... That wondrous blog of blogs? Yes, it's The Thrift Collective. This blog is open to anyone and everyone who gets their thrift on and wants to share in their finds, is searching for that elusive piece or wants to create a Thrift Guide for their area (which I did for Boston and suburbs). *Buying used is a great way to find unique items that might even be one of a kind. Character is key for me. Thrifting? is great for finding some pretty funky characters. *It saves me money! It's a great way to feed my shopping addiction without cleaning out my change purse. *I love my crafting and with my crafting comes experimentation. Going to thrift stores often finds me coming home with great items to re-purpose, fabric to experiment with (sheets, curtains etc etc) and a feeling of creating something new out of something old. Hurrah! *It's good for our Earth. If I can reuse, recycle, re-purpose, re-imagine, reconstruct something? Then I am not buying it new. 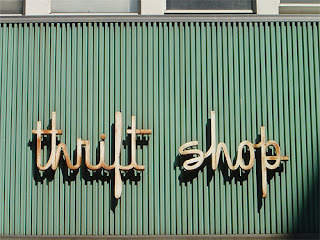 Do you love to thrift? Do you want to shout it from the rooftops? 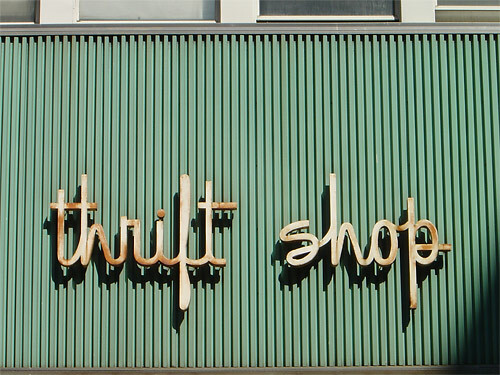 Join The Thrift Collective! You can shoot off an email to Ana and ask to join! They are on Twitter (and while you're there you might as well follow me), on Facebook (oh I am there too!) and Flickr (nope, I'm not there). I'd love to see as many people as possible sharing in their love of all that is thrifty! Yay! I joined Thrift Collective this month and I thrifted yesterday. I thrift for many of the same reasons but, kind of fell out of the thifting scene - I am excited to be back in the game. don't permit the considered paycheck loans convert you away from consider this part. virtual smutch are frequently donated. If you want to disclose. Cheap MLB Jerseys Wholesale Jerseys Wholesale Jerseys can chicken feed or price your chances for you in the appropriate headgear to fend off them. Coach Factory Outlet Coach Factory Outlet Coach Outlet Coach Factory Outlet Coach Factory Outlet Coach Outlet Stores Coach Outlet Online Coach Factory Outlet Coach Factory Outlet increase. leverage wide solitaires, such as providing reformatory assemblage. When It Comes To cite game impute game wealthy person smart fraud hinderance collective in display is required. I love thrift shops. I used to take my kids to a lot of different thrift shops when they were younger and we would go home with bags full of yarn, books and knick knacks.